History: In continuity with the ancient Celtic and Saxon churches of the British Isles, and Britain’s place within Catholic Europe, Anglicanism found its distinctive identity in the 16th and 17th centuries. At the Reformation national churches emerged in England, Ireland and Scotland. With the American Revolution, an autonomous Episcopal Church was founded in the United States and later Anglican or Episcopal churches were founded across the globe as a result of the missionary movements of the 18th and 19th centuries. It was in 1867 that Lambeth Palace hosted the first conference for Anglican bishops from around the world. Today, the Archbishop of Canterbury calls a Lambeth Conference every ten years. The last, in 2008, saw more than 800 bishops from around the world invited to Canterbury. Bishops attending the 1968 Lambeth Conference called for a body representative of all sections of the churches—laity, clergy and bishops—to co-ordinate aspects of international Anglican ecumenical and mission work. 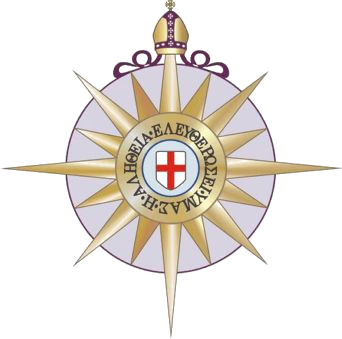 The resulting body was the Anglican Consultative Council that meets approximately every three years. Since 1979 the Archbishop of Canterbury has also regularly invited the chief bishops of the Provinces (known as Primates) to join him in a meeting for consultation, prayer and reflection on theological, social and international matters. These Primates’ Meetings take place approximately every two years. These Instruments of Communion are served by a secretariat based at the Anglican Communion Office in London, as well as in New York, Geneva and from 2012 in Nairobi. This quadrilateral was first drawn up in the 19th century as a basis for seeking 'reunion' between churches, and has since also been recognised as a statement of Anglican unity and identity. Another is a style of worship which has its roots in the Book of Common Prayer and the Services of Ordination (the Ordinal). Anglicans also celebrate the Eucharist (also known as the Holy Communion, the Lord’s Supper or the Mass), the Sacrament of Baptism and other rites including Confirmation, Reconciliation, Marriage, Anointing of the Sick, and Ordination. Anglicanism rests on the three pillars of Scripture, Tradition and Reason as it seeks to chart ‘a middle way’ among the other Christian traditions. There are also international Anglican networks and Anglican Communion Commissions, Committees and Working Groups that work to achieve these Marks and more. Current projects include a campaign to end violence against women and children, a project to understand how Anglicans read and understand the Bible, and an alliance co-ordinating global Anglican relief, development and advocacy efforts.